Ever since the drowning her heir son, Bobby two years ago, Jenna Rosen and her husband, Robert are more like strangers then husband and wife. Jenna decides to get away from her life and Robert for a while. She takes off for Alaska. This is where it all began. Where Bobby drowned. Jenna experiences some strange things like…a wolf or wolf type dog chases her through the woods. Jenna meets a man named David. He is a shaman. He tells Jenna of a legend hat the Tlingits believe. It has to do with the belief that not all people die peacefully, so people’s souls are trapped to wither wander aimlessly or take form in another being. What does this have to do with Bobby? Could this mean that he might be alive after all? 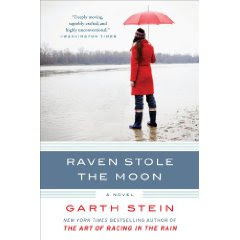 Raven Stole the Moon is the first book I have read by Garth Stein. I have wanted to try his work out when I first heard about The Art of Racing in the Rain but just haven’t gotten around to it. After reading this book, I definitely plan to check the book out. I have to admit that I did get a little lost at first trying to figure out in my mind about how the shaman and the Tlingit beliefs really played a part in this story and Jenna’s son’s death. Once I out it all straight, I was able to fully sit back and immerse myself in this book. I found that I absolutely was delighted with this book as well as Mr. Stein’s writing style. He really brought the characters to alive on an emotional level that made you connect with them in the moment. I only have one last comment to make and that is… you have got to check Raven Stole the Moon for yourself. 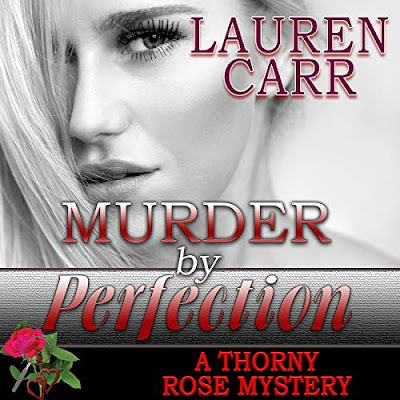 Courtesy of Sarah Daily with Terra Communications I have one copy of this book to give away to readers. Open to US and Canada only. I will pick a winner on March 16th. Good Luck and Happy Reading! Love this book. Really, really want to read. Thanks for the great giveaway. Would love to be counted for this giveaway. Please, count me in the give away. You can count me in on this great book. I've heard great things about this book. Count me in please. This book sounds intriguing. It's not the normal genre I read but I would like to check it out.